Astronomy Now - ESO captures a ‘galactic gem’ floating amid a sea of stars | Astro What? The European Southern Observatory’s Very Large Telescope captured this gorgeous view of galaxy NGC 3981, in the constellation of Crater some 65 million light years from Earth, as part of the Cosmic Gems Programme. The program puts ESO’s telescopes to use for education and public outreach when they cannot be used for science observations. 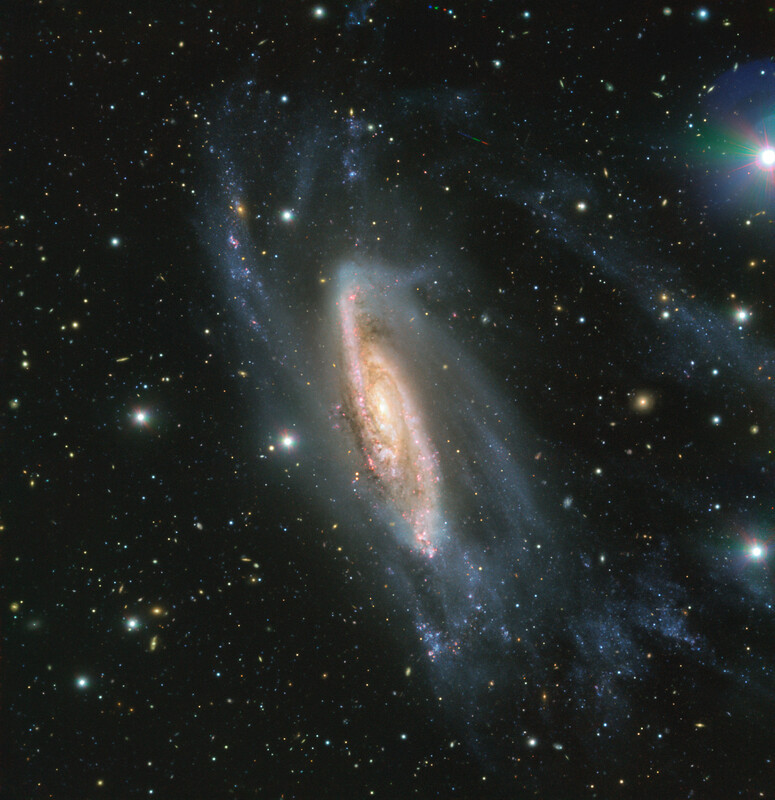 This image of NGC 3981 was collected in May by the FOcal Reducer and low dispersion Spectrograph 2 – FORS2 – instrument attached to the VLT’s Unit Telescope 1 at ESO’s Paranal Observatory in Chile. The instrument captured the galaxy’s spiral arms “strewn with vast streams of dust and star-forming regions, and a prominent disc of hot young stars,” ESA said in a photo release. The galaxy harbours a supermassive black hole in its core while some of its spiral arms appear to be stretched outward, possibly reflecting past gravitational encounters with other galaxies.